Juicing might be one of the newest health crazes, but it has long been a time-tested method proven to improve your health, purify your digestive systems (and body as a whole) and replenish your body with tons of essential nutrients. Juices, whether packed with veggies or fruits (or both), are a fast and easy way to get lots of vitamins and minerals your body needs. And the fact that you can squeeze multiple fruits into one, easy-to-drink, delicious beverage definitely adds to the appeal. You can take it with you on-the-go or keep it in your fridge for a quick refreshing snack. Either way, fresh, healthy juices should be on your daily list of go-to snacks. And I say snack because, really, when you’re juicing right, you can have anywhere from one to 10, maybe more, servings of fruits or veggies per glass. With so many benefits, if you’re not juicing already, it’s time to get on board. But there are many juicers out there. 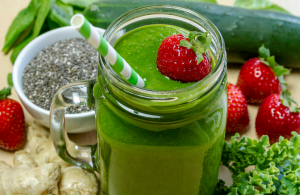 Depending on whether you are a first-time juicer focused on making fresh orange juice or an experienced blender combining a plethora of fruits and veggies, there are different juicers that best fit your needs. To help, we found the top four juicers to best fit your lifestyle, kitchen and budget. Upgrade your old-fashioned hand juicer with this motorized, high-power juicer that easily transforms your favorite fruits into your favorite fruit juices. Easy to use and easy to clean. Blend and go. Quickly and easily blend your favorite fruits into fruit juices and smoothies with little mess or cleanup. It blends your fruit in a handy to-go cup, so you can almost effortlessly make a healthy breakfast to grab on your way out the door. Best for the experienced juicer. This is a versatile appliance that goes way beyond juices. It’s also perfect for making nut butters, extruding pasta, grinding coffee and spices, mincing herbs and garlic, prepping baby food, extracting juices from leafy vegetables and much more. Stylish and sleek meet healthy living. This power blender has two different speeds for soft fruits and for hard vegetables. It’s perfect if you’re just diving into the juicing world and are looking to upgrade from basic fresh fruit juices to more elaborate hybrid concoctions. Now that you’ve got your juicer, all you need are some new recipes. And a quick online search will pull up hundreds of recipes that cover everything from detoxing and weight loss, to sustainable energy and just simply tastes good!